The ergonomic operator’s cabin on the Z17 GEN: 2 provides excellent visibility and easy entry and exit. The controls on the Z17 GEN: 2 are ergonomically designed and easy to use. One-way auxiliary functions can be controlled by a foot pedal, allowing optimal control of high-flow attachments such as compactors or breakers. 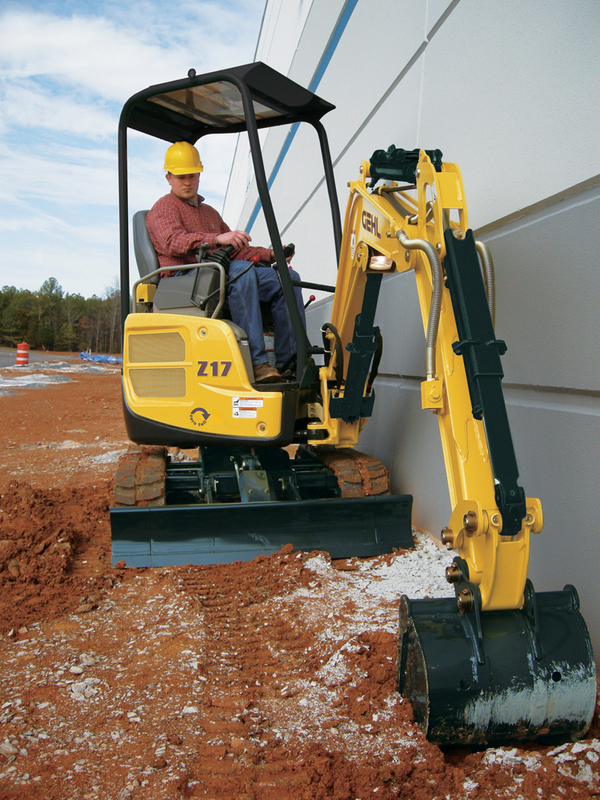 The undercarriage of the Z17 GEN: 2 was designed with serviceability and longevity in mind. 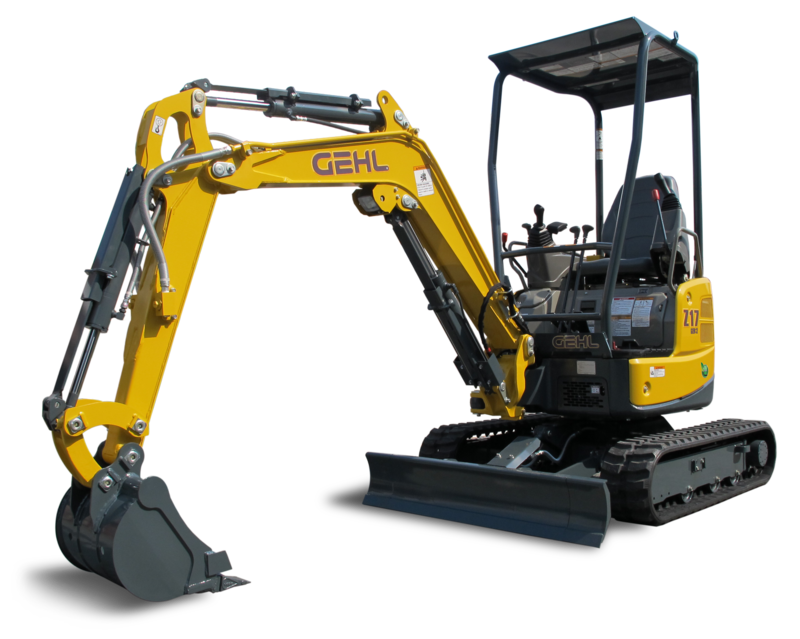 The Z17 GEN: 2 is built around a powerful, reliable emission-certified Yanmar Tier IV diesel engine. The advanced hydraulic system on the Z17 GEN: 2 provides long-lasting, efficient power precisely when you need it. 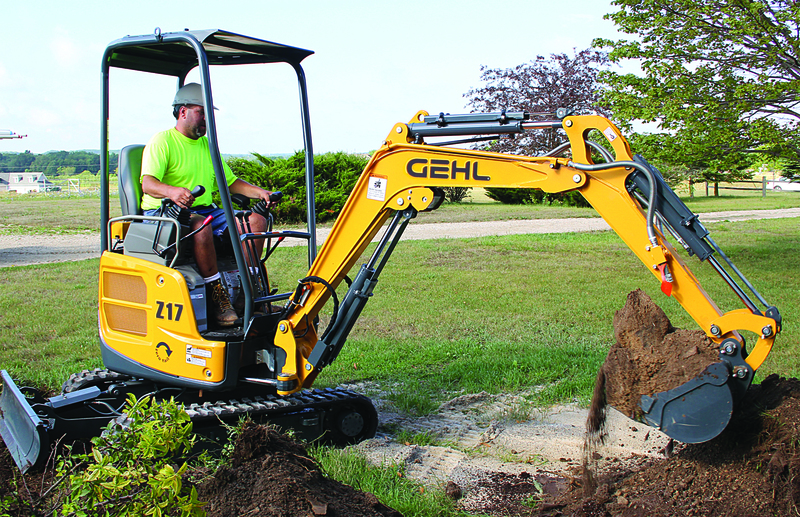 A full line of Edge attachments and accessories are designed specifically to fill operators’ needs, making their Z17 GEN: 2 the most versatile machine on the job site. Popular Z17 GEN: 2 attachments are shown below. The large, rear hood opens easily to expose the engine oil, air cleaner and water supply to the cooling water sub-tank. The removable left-hand side cover grants access to the hydraulic system and return filter cartridge. The removable right-hand side cover allows access to the fuel tank and radiator. The access panel in front of the driver’s seat easily opens to reveal the battery, starter motor and fuse panel. Operating Weight with Canopy 3,836 lbs. Maximum Drawbar Pull 4,181 lbs. Maximum Bucket Breakout 3,417 lbs. Maximum Arm Digging Force 1,918 lbs.